The following is a guest post from Matt Banner. Matt is a seasoned blogger and entrepreneur, with a decade of experience in the online world of blogging, SEO, and marketing. You can find him online @BlastYourBlog. 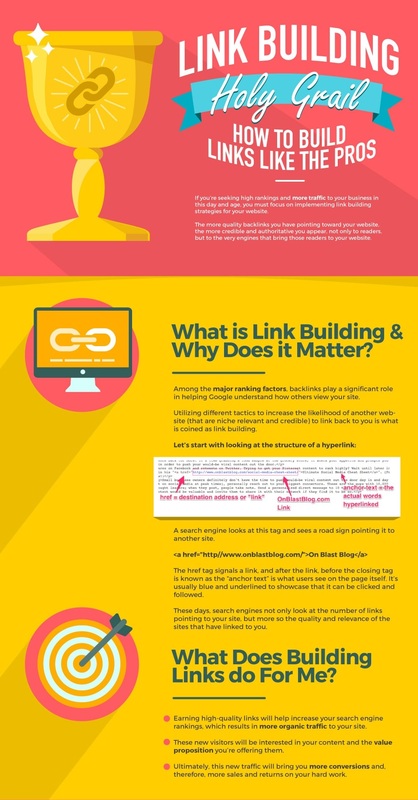 While some people like to interchange the two terms, link building and content marketing are very different from one another. That being said, both are aimed at providing value to the reader, and in that way they compliment each other in a number of ways. Below, we’ll look at these two terms and how they fit together, plus an infographic packed with all the latest link building strategies. 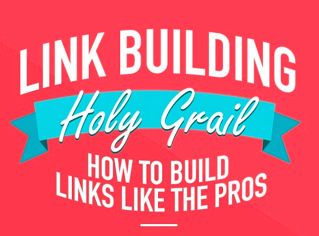 When you boil it down, link building can result in epic content and content marketing can help you build links. But, on their own, they are very different approaches with varying goals. Even so, they can work together. Link building is the process of securing links from other websites to your own in the hopes of improving your organic search ranking. It usually involves content promotion, keyword research and outreach to secure these links for your website. Content marketing involves providing content to your readers that is designed to hasten their journey to a conversion. Here you will delve into the details of your audience by creating buyer personas and crafting posts based on what they want or need from your product—thus creating value and showing them why your offer is right for their needs. Both of these approaches focus on providing great content that meets the needs and the search intent of a specific audience. The same content you use for your content marketing can also be a great choice for your outreach efforts. High-quality work is always going to be useful across multiple channels. Even when you look at blogging sites broken down, people will always link to useful and high-quality work. Now, it’s time to check out our infographic. Let us know how it helps boost your efforts in the comments!